20" solid maple playfield with a poured polymer resin coating to keep your playfield safe from damage. Includes wax, liquid wax, glaze cleaner and a sweeper to remove wax. Solid maple shuffleboard table available in many sizes and finish options. Perfect mix of sleek lines and ornate legs. 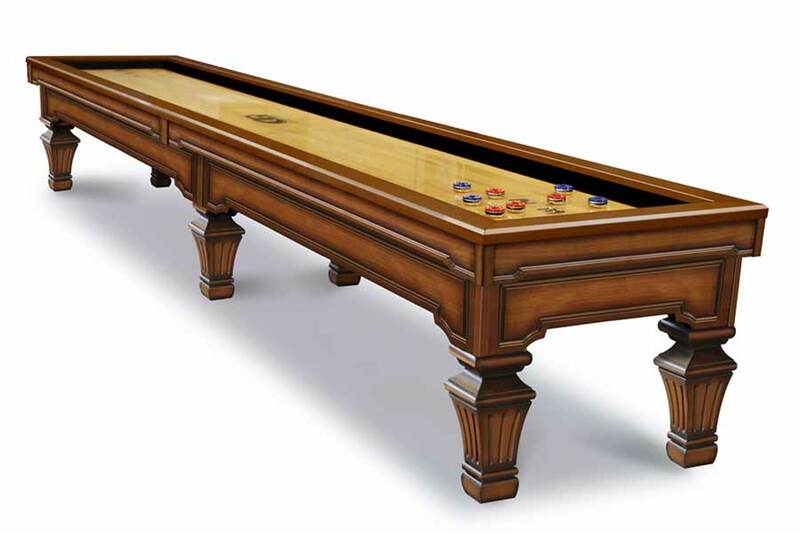 Shown as the traditional Hampton to match the Hampton pool table, this shuffleboard table is available with multiple leg options.